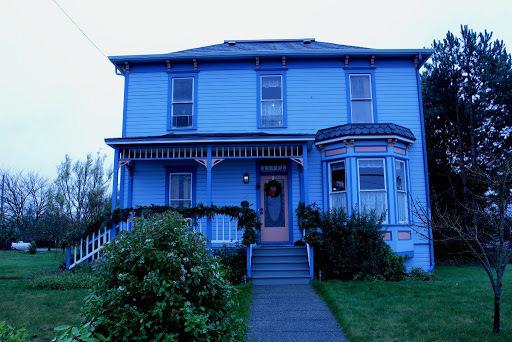 When vacation plans fell through this year, my friend Lera came to the rescue and recommended a charming Bed and Breakfast in Coupeville, Washington. 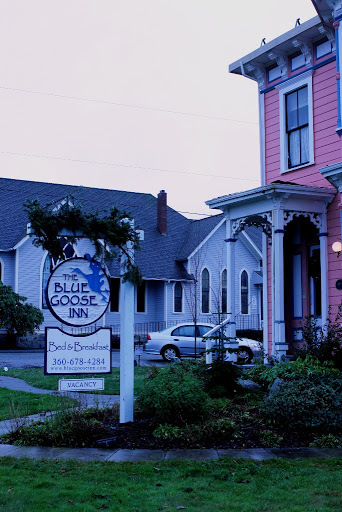 The Blue Goose Inn on Whidbey Island was our destination for a brief getaway before the New Year. 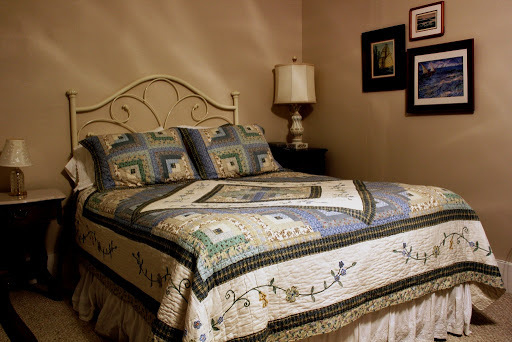 Charming, well taken care of, with warm inn owners, the inn offered comfort, proximity, and rest. The daily breakfast, served at a somewhat early morning hour for someone who would rather sleep in on vacation. 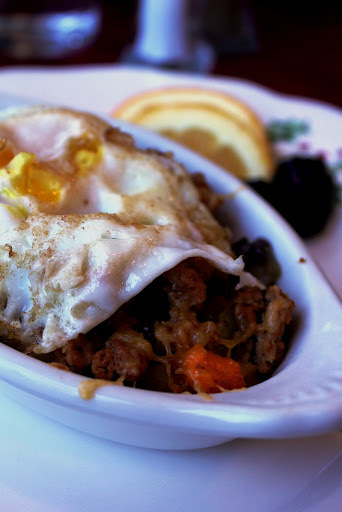 The first morning we enjoyed a winter vegetable bake with spicy chorizo and one sunny side up egg. Plenty of freshly-brewed coffee, orange juice and a selection of muffins completed the breakfast offering. This is the second house, where we stayed on the second floor in a charming, well decorated room with a sea motif. 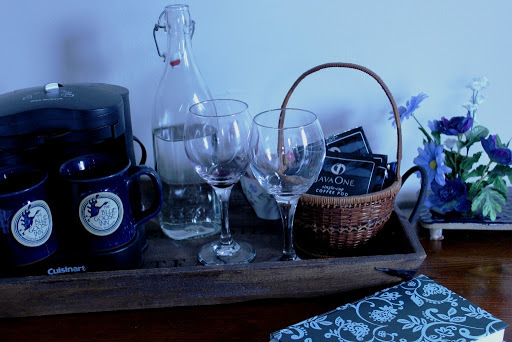 In-suite coffee, filtered water, wine glasses (bring your own wine if you go or purchase a bottle from a selection of local wines), tea, homemade brownies and chocolate covered almonds greeted us in the room. 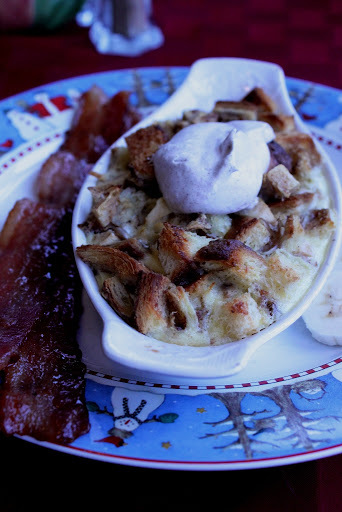 Breakfast day 2 was bread pudding with cinnamon whipped cream and maple glazed bacon. Comforting and rich, I was a fan but sadly the Artist’s stomach protested. The rest of the day didn’t go so well for him. Overall, this was a care-free getaway from the city. The weather didn’t cooperate much, but Washington has a special charm of being beautiful at almost any time of the year. The rain and wind have not spoiled the experience. If you are going to visit, I recommend taking driving through the Deception Pass on the way to the island and taking a ferry on the way back home. I love Whidbey Island, although I've never stayed at the Blue Goose. 🙂 One suggestion for you; it appears that you have the white balance setting on your camera permanently set to incandescent (inside) light. That's why all of your outside photos and natural llight photos have such a deep blue cast. I'd suggest setting your white balance to auto so you can get a more natural light look.